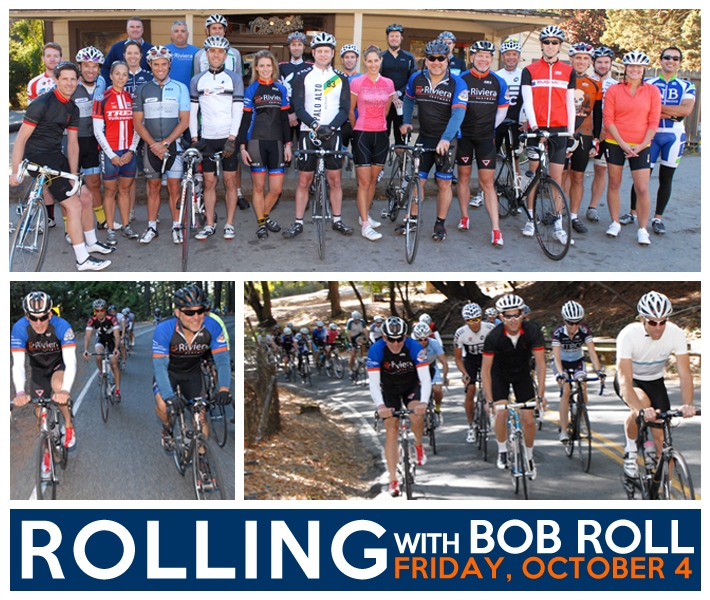 Last week, Riviera hosted its second annual biking event with cycling celebrity Bob Roll. To change gears from last year’s ride in Mill Valley, this year we identified a route through the hills of Menlo Park for a 30 mile ride. We kicked things off with a meetup outside of Zot’s Alpine Inn to mingle while gearing up and then rolled out shortly after. It was a great ride full of challenging climbs, beautiful scenery and good company. We’ve got some great photos from the event, so make sure to checkout our album on Facebook to see them all!